The index opened flat but saw huge profit booking from the onset with each up-move being sold with ease and the index closing near the lows at 8833.60, huge loss of 61.70 points. The broader market though was flat, with 759 advances to 754 declines. Range as per Option Table comes to 8600-9000. 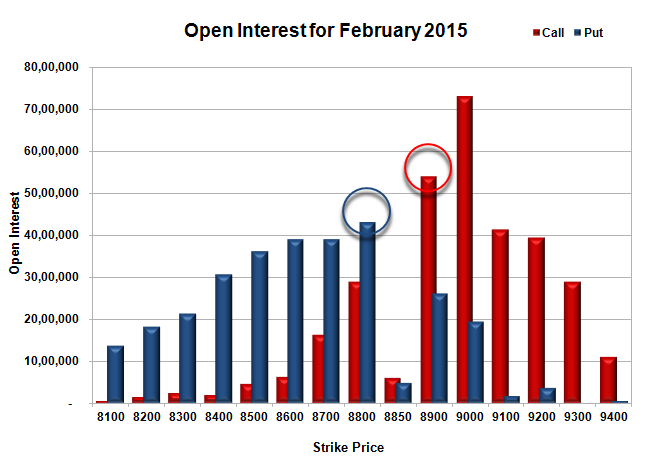 Call option 8800-9200 added huge 30.33 lacs OI with profit booking seen at 9300 and above strike prices. 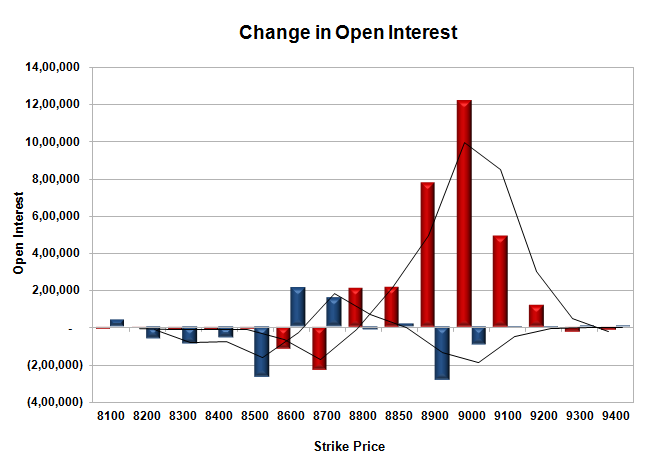 Put option 8700-8600 added 3.68 lacs OI with short covering seen at 8900 and above strike prices. Nifty Open Interest is at 2,29,36,200 down by 19,34,225, whereas March series added 15.96 lacs with decrease in price, mostly rollover with small long liquidation. Bank Nifty Open Interest is at 22,09,550 up by 40,925, whereas March series added 0.31 lacs with decrease in price, most probably short build-up in both series. FII’s sold huge 5.95 lacs Futures, which includes 16536 contracts long liquidation and 7252 contracts short build-up, with decrease in net OI by 9284 contracts (includes 92314 longs to 116102 shorts for the day) and the Average Price comes to 8941.57. FII’s Index future open contract as on date is 737509 Longs to 122045 Shorts, net long 615464 down by 23788 contracts. Initial and best support still at 8800, with OI of 43.02 lacs and below that at 8700 with OI of 38.94 lacs. Initial and very good resistance 8900, with OI of 54.04 lacs and above that at 9000 with highest OI of 73.03 lacs. 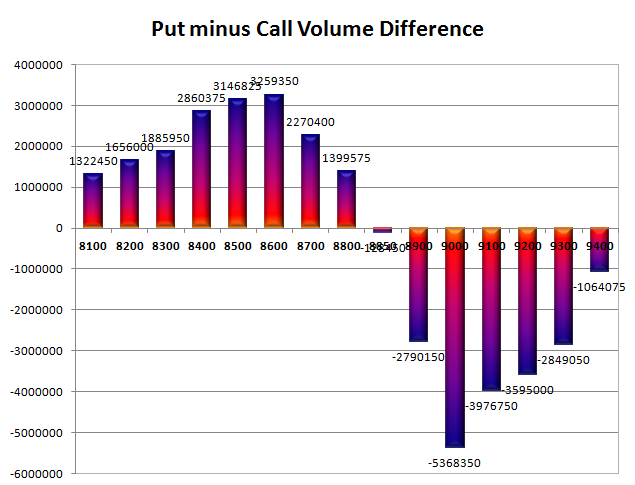 Day Range as per Option Table is 8768 - 8923 and as per VIX is 8735 - 8932 with 8850 as the Pivot.